Pointing a scanner gun at all those fabulous items on your registry list is perhaps one of the few wedding planning parts that both the future bride and the future groom equally enjoy. As simple as it may look, however, doing the gift registry right takes some patience and some rules to follow. According to wedding registry etiquette, you shouldn’t wait much after you’ve announced your engagement before you set up your wedding registry. The reason for this is very simple – there will be many relatives and friends who would want to send you a small present as a token of congratulations on your engagement. This is especially important if you are having an engagement party, but you won’t make a mistake if you register even if you are not having one. Make everybody comfortable with their wedding gift budget by registering for items that come with diverse price tags. This doesn’t mean you shouldn’t include items you would love to receive just because you think they are too expensive! Based on your selection, wedding guests may decide to buy you an expensive item from your wedding gift registry as a group present. No matter what the item is that you (or your future husband) want to put on that wedding gift registry list, you have to both love it! After all, you are choosing the items that you are going to use on a daily basis in your home as a married couple for many years to come. Make sure you listen to the groom’s opinion on colors, designs, etc. and be flexible. This is a good rehearsal for the bridal compromises that await you two in the married life! 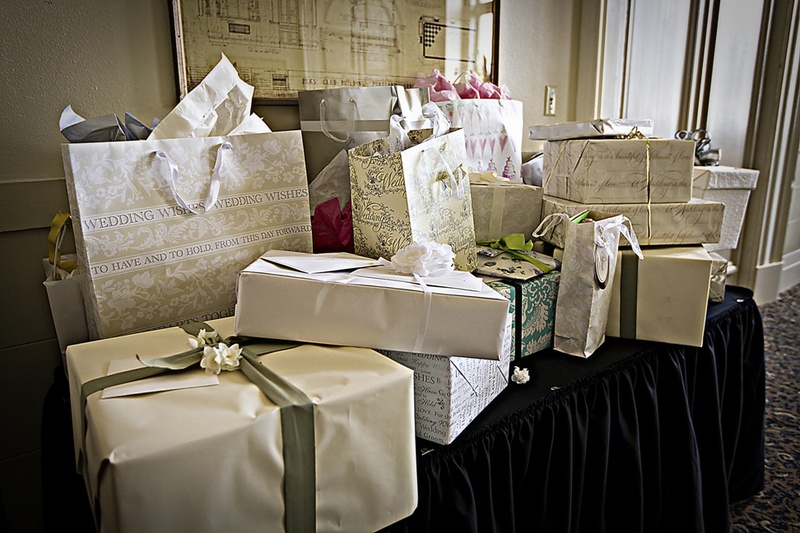 Wedding gift registry etiquette says that it is rude to include even a hint about a wedding gift in your wedding invitation. If you want to follow protocol, you have two options. First, if you are old-fashioned, you can spread the word by word of mouth. Second, if you are a modern couple, you can spread the word in style by adding information about your wedding registry on your personal wedding website (which you can print on the wedding invitations). Every smart bride knows that saying thank you is both important, and obligatory if you want to deal with getting presents the right way. The complications arise when there are so many “thank-you” notes to be written and sent that it’s easy to fall behind and eventually forget to do it altogether. Good manners, though, require a thank you card to be sent to the giver within a few days of the gift receipt. You don’t have the time to do it? You can ask the groom to help you and you can even do this together after you get back from your honeymoon (but not longer than a month after you return home).